I have some of the most incredible mason jar ideas all for your bathroom. I bet you had no idea how many awesome ways you could use these things! I’m so excited to start making these! I adore these awesome soap dispensers from Love Grows Wild and surprisingly they aren’t hard to make! This wall organizer from The DIY Playbook is absolutely incredible. They’re video tutorial makes it super easy to recreate this craft. This mason jar storage box from Liz Marie Blog holds three jars in the bathroom perfect for cotton balls and other odds and ends. You can make your own mason jar wall sconce for bathroom lighting! I never would have thought of this idea I saw on Houzz. Use a mason jar for a fun toothbrush holder. Love this! From Fireflies and Mud Pies. Keep everyone organized by giving them their own custom jar! From Lolly Jane. Paint jars to match your bathroom decor and use them like Happy Go Lucky blog did by holding toothbrushes and Q-tips. Organize all your bathroom odds and ends in these jars with beautiful DIY lids you can create to match your home. From eighteen 25. 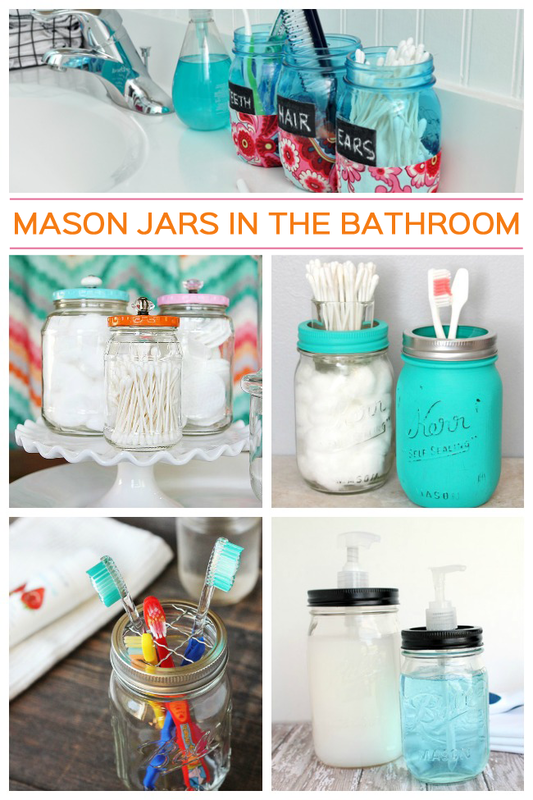 Customize your mason jars for the bathroom with fabric and chalkboard labels. Love this mason jar idea from Club Chica Circle. If you adore these ideas but have no time for crafting? 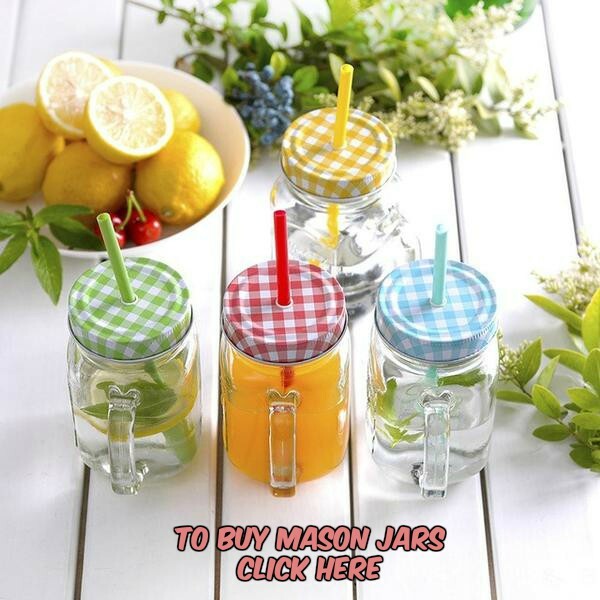 You can buy an amazing 5 piece mason jar bathroom set from Etsy seller talona! Do you use mason jars for storage?